The twenty-first century has been marked by our almost boundless ability to imagine things at a larger, or smaller, size; at a faster speed; capable of solving complex problems using less energy. Our imagination on the topic of scale has driven technological progress, but it has also long inspired the creation of art. With the onset of industrialization in the nineteenth century, experimentation with scale across almost all disciplines accelerated to an entirely different dimension. 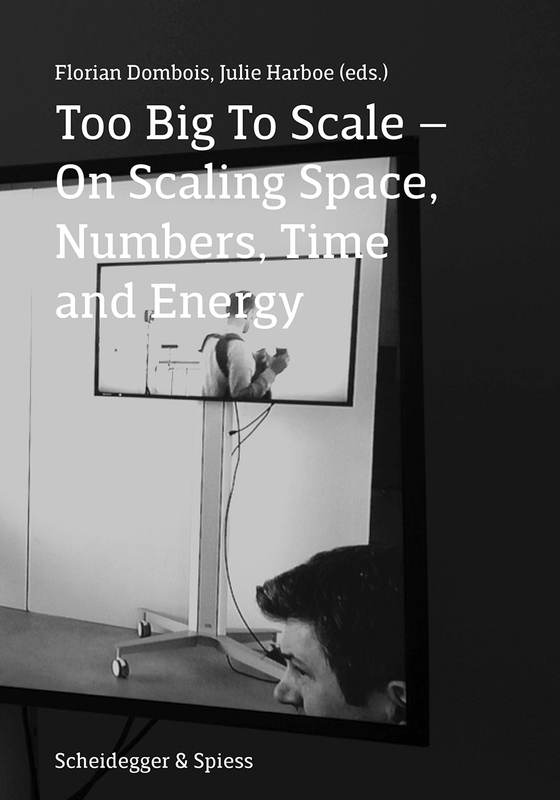 The result of a 2015 symposium at Zurich University of the Arts, Too Big to Scale brings together essays by a diverse interdisciplinary group of artists, designers, engineers, and scholars who explore the significance of scale within their respective disciplines. The contributions take as their point of departure the camera, which combines three pathways for scaling—film speed, lens size and speed, and frame rates for fast and slow motion. The possibility of copying images adds a fourth variable, replication. The camera, as the contributors show, does not merely depict our world but can also be seen as actively producing our thoughts and imagination.